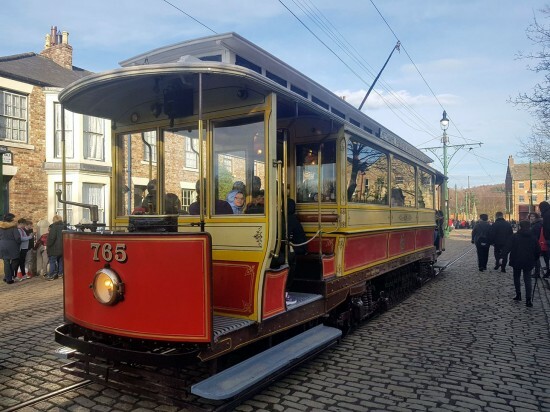 Just over two weeks after arriving at Beamish for its almost half year loan, Manchester 765 has entered service at the museum transporting visitors around the museum during the February Half Term school holidays. 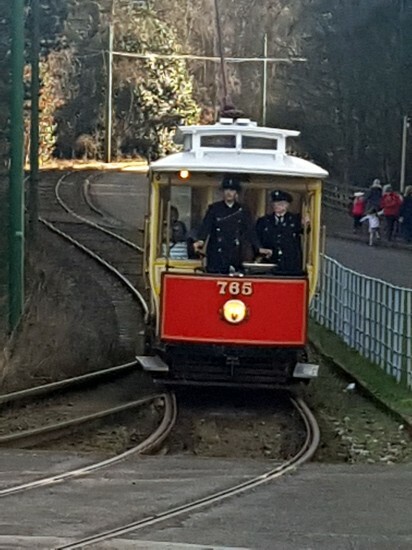 After work in the Beamish workshops and test runs at the end of last week, 765 was first used in service on Thursday 21st February on another busy day at the museum. 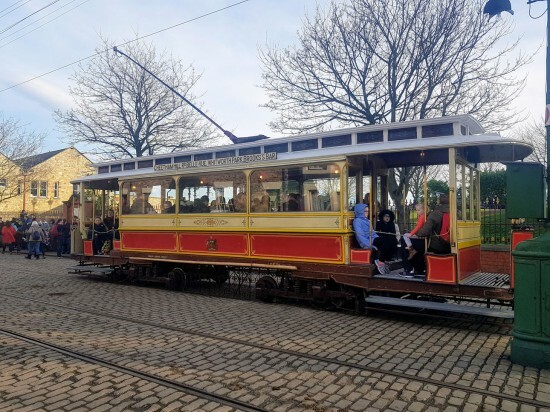 With fine weather coinciding with the half term holidays plenty of families took the opportunity to visit Beamish leading to very busy scenes and all four currently operational trams were pressed into service on 21st February which included 765’s debut public runs for this visit. * More photos from the February Half Term will follow on the news pages within the next few days. Operating on the anti clockwise circuit we first see 765 in the town. With Rotherham Corporation bus 220 ahead Manchester 765 is captured here at the Entrance. 765 meets up with Blackpool 31 at the Entrance. Note that 765 is currently without destination boxes. Great to see, brings back memories of its last visit. But it won’t half upset those who were told it wouldn’t run before GNSF! Badly needed though with the chronic shortage of Trams. 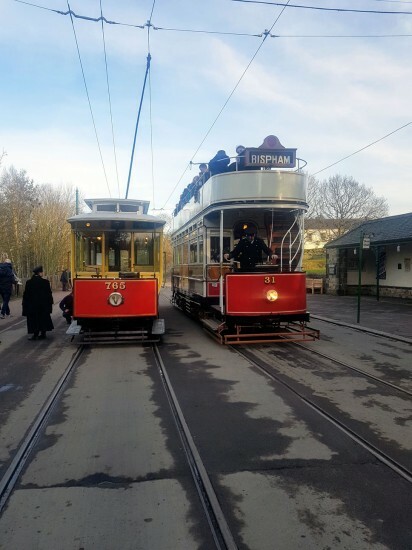 Interestingly 765 and 31 haven’t been seen together before at Beamish as in 2011 31 was still at Heaton Park, so they last ran together in Blackpool in 2010. Wheres its route number and blind boxes gone? Looks really strange without them. 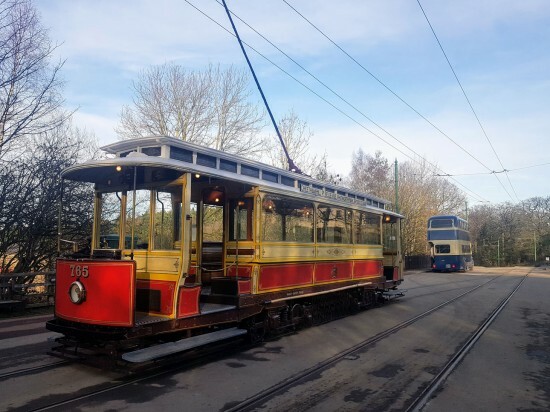 The blinds are still under overhaul at Heaton Park, new blinds due to arrive this week and then they will be taken to Beamish and refitted before the steam fair.